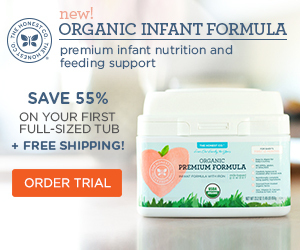 When I had my first baby, I was so proud of myself for purchasing only organic baby food. You live and you learn. Upon more research, I realized that the expensive little jars often contain sugar and salt, and, sometimes, other dangerous toxins, like arsenic. Even if there is nothing added, food made from fruit and vegetables lose their nutrients upon being packaged and shipped to your local store. The correct way to make sure your little one gets wholesome baby food is to make your own. Read below for homemade baby food basics to see where to start. Steamer and Blender – Babies can start eating solids around four to six months (check with your pediatrician), but most of them don’t have any teeth and don’t know how to use their gums to mash food. When you first start, you need to make sure that the food you are offering is very soft and pureed. You should adjust the consistency as your baby gets older and can eat chunkier textures. There are a couple of different things you can consider to make wholesome baby food. 1. Beaba Babycook Baby Food Maker – This is an all-in-one baby food maker which will steam and puree your food. Steaming food rather than boiling is preferred because the fruit and vegetables lose nutrients when boiled. All you need to do is chop food into little pieces and steam per the instructions provided with the Beeba. Once the food is steamed, you blend it and feed your little one. You can also use it to defrost and reheat food. It retails for around $125. 2. Stainless Steel Vegetable Steamer – Although it’s incredibly convenient, you don’t need to purchase a device specifically for baby food. You can use a separate steamer and a blender. This is a stainless steel collapsible plate that you can put on top of a boiling pot for easy steaming of fruit and vegetables. This is the easiest option, retailing at $7. 3. NutriBullet – As far as blending, I have found it very difficult to use a regular blender as the portions for baby food are tiny. What works really well is my NutriBullet by Magic Bullet. It is small, and works perfectly for the amounts. The NutriBullet has a very strong blade, and it does an excellent job of blending wholesome baby food with just a little added water. I also use it to blend quinoa, buckwheat and oatmeal for my little one. I cook it, and then blend it so I don’t have to purchase commercial baby cereals. It retails for around $89. Baby Food Storage – Once you steam and puree the homemade baby food you can either feed it directly to your baby, or store it. While the most common storage method is using plastic containers or ice trays, that is not an option for me. Plastic, even if it’s labeled as BPA-free, contains dangerous chemicals and toxins that are not safe for babies. Here are a couple of plastic-free containers for baby food. 1. Sage Spoonfuls Glass Baby Food Jars – This is a set of six glass containers for refrigerating and freezing baby food. They are leak-free and air tight for good storage, and you can even throw them in the dishwasher. They come with a tray that makes it easy to stack them in the fridge or freezer. Upon defrosting and reheating my first batch, I cracked one of the containers. I had e-mailed Sage Spoonfuls, and received this helpful advice from the CEO. * Frozen baby food can be defrosted in the glass jar either by leaving it in the fridge for a few hours or overnight or running the jar under hot water for a few minutes. *Do not defrost the jars in the microwave. Food should be fully defrosted before placing the jar into the microwave. Be sure lid is off and use a medium heat setting only. *If warming the food in your bottle warmer, be sure the temp is on medium and the lid is off. *If taking the jar directly from a cold fridge, run it under warm water for a few seconds before placing it into a bowl of hot water/bottle warmer and remove the lid. After using the replacement jars I received from Sage, and following their instructions, I have been happily storing my baby food with absolutely no issues! I even use the healthy baby food recipes on their site. They cost about $25 for six. 2. Wean Green Wean Cubes Baby Food Glass Containers – This is another good option for storing wholesome baby food in 4 oz. glass containers. These little containers are very thick and sturdy and come with locking lids. My only issue is that the lids are very tight, requiring some effort to lock in place. Once they’re locked, however, nothing will ever spill from there. I even use them for holding small snacks for my four-year-old. Remember that no matter how you make or store your homemade baby food, what’s most important is that you’re taking the time to meet your baby’s nutritional needs. This entry was posted in Babies/ Kids, Cooking, Recipes, Uncategorized by karma606. Bookmark the permalink.